Robert Edward White (CRD #3077959) is a former registered broker whose last employer was Raymond James Financial Services, Inc. (CRD #6694) of East Hampton, NY. His previous employer was 1st Global Capital Corp. (CRD #30349) of Dallas, TX. No current employment information is available. He has been in the industry since 1998. White was discharged from the Raymond James Financial Services on 4/3/2017 after it was discovered he had accepted cash gifts from a customer, and failed to disclose the gift to the firm. 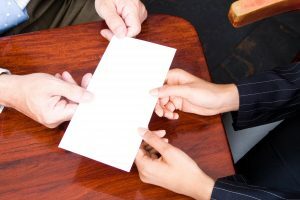 The firm’s policies prohibited registered representatives from accepting gifts over $100 per year from the firm’s customers. White accepted a total of $58,000 from a single firm customer, after certifying that he understood the policies on annual compliance questionnaires. After an investigation, FINRA suspended White on 8/10/2018 for four months, effective 8/20/2018. White was also fined $10,000, and signed an Acceptance, Waiver & Consent (AWC) letter, agreeing to all sanctions. His suspension is scheduled to end on 12/19/2018. It is generally against a brokerage firm’s rules for a financial advisor to borrow money from a customer or otherwise accept cash gifts. Silver Law Group represents investors in securities and investment fraud cases. Our lawyers are admitted to practice in New York and Florida and represent investors nationwide to help recover investment losses due to stockbroker misconduct. Most cases handled on a contingent fee basis. This means that you won’t any pay legal fees unless we are successful. Call us toll free at 800-975-4345, or use our online contact form to get in touch.